Here at 4 Down Territory, we are big fans of both football and basketball. This year our resolution is to bring you the most reliable and entertaining material from both sports. I will be starting a weekly college basketball column that will run through the end of March Madness. I hope you will all enjoy it. There are so many college basketball teams, and I know that most of you can only read so much of my writing, so I’m going to employ a “shootaround” style. I will try to cover as many teams and relevant information as I can, while maintaining an easily digestible number of words. I hope you will enjoy, and as always feel free to leave comments and suggestions. Kentucky edged out the Ole Miss Rebels in overtime its conference opener on Tuesday. Arizona freshman Craig Victor (ESPN’s number 37 overall recruit from last year’s class) is seeking to transfer to another school, citing playing time as his major reason for leaving. Arkansas head coach Mike Anderson also signed a two-year contract extension on Tuesday that has him under contract in Fayetteville until 2020. Every week, I intend to pick one top 25 team to analyze (similar to the “Adopt-a-Team” concept used in mine and Levi’s NBA Podcast). Kentucky entered the season as the number one team, and has since emerged as the prohibitive favorite to earn the number one overall seed in March. They have tons of talent, so much so that John Calipari has implemented a hockey-style line change substitution system. The truest testament to their depth is the fact that, even though they are a perfect 14-0, they only have two players who are averaging double-figures in scoring, and one of those guys comes off the bench. Kentucky does many things well, which should go without saying considering their record and resume (wins over Kansas, Louisville and North Carolina). The biggest asset, other than their depth, is that they are long and athletic. This lends itself to a strong press game, being able to jump passing lanes, and run out in transition. They also protect the ball fairly well behind the solid guard play of the Harrison twins and Tyler Ulis. However, there are a few things that they don’t do well, and Ole Miss figured out how to attack this but came up a little short in the end. The Wildcats are a very streaky perimeter shooting team, although they shot well on Tuesday. Also, when Tyler Ulis is not on the floor, they sacrifice speed in the backcourt in order to play a taller lineup (both Harrison twins at guard). This doesn’t hurt them too frequently, because their press and transition games are run like a well-oiled machine. However, Ole Miss used their relative speed advantage from their backcourt well. You can also often times catch their young big men jumping in the lane going for the big block, and thus get either a foul or a dump off pass with a well-timed ball fake. The biggest thing the Rebels did well on Tuesday is they made their free throws and threes. They were 19 for 22 at the charity stripe and hit 53% of their three pointers. The one thing they didn’t do well? Take care of the basketball. Eighteen turnovers are ultimately one of the easiest stat lines to point to as the reason the Wildcats prevailed. It takes a great performance to beat Kentucky, but if you take care of the ball and shoot well from the perimeter and free throw line you give yourself a good shot. I love watching college basketball. Every week I try to watch as much as my schedule will permit, and in this segment I’ll share some of the things I noticed in the games I watched. No stats. No notes (except checking the spelling on a few players names maybe). Just purely Sam’s eye test. However, I do watch a fair amount of basketball and think what I have to say is at least worth a glance. The first game of this week was Monday’s showdown between North Carolina and Notre Dame. The Fighting Irish came in as a relative surprise team, although they played a fairly cushy non-con schedule and no, I repeat zero, road games. (They did play a few neutral site games, including their lone loss to Providence). I thought they looked fairly good. They shoot the ball very well from three, although they become too reliant on it at times. 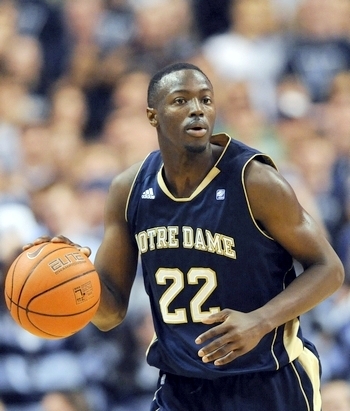 They have a solid player in Pat Connaughton at the wing, and get good guard play from Jerian Grant and Demetrius Jackson. One thing that I don’t like about them is that for a team who shoots a lot of perimeter shots they don’t crash the offensive glass very well. This will lend to them getting beat along the way when the shots aren’t falling. North Carolina, on the other hand, looked like the better team for a fair amount of the first half in my opinion. They play really well in transition and do a good job of getting to the rim. I sense that they aren’t a great outside shooting team, but they knocked a few shots down. True freshman Theo Pinson played very well for the Heels. One big concern I have is how stagnant their offense is when Marcus Paige is out of the game. One possession that stands out in particular is towards the end of the first half, with Paige on the bench, UNC failed to get a shot off against a 2-3 zone with a full shot clock. A freaking 2-3 zone! How can you get a shot clock violation against a 2-3 zone? That’s inexcusable. That’s something they’ll need to correct going forward if they want to be ACC contenders or beat arch nemesis, Duke. I watched my alma mater play the 23rd ranked Arkansas Razorbacks on ESPN’s first Super Tuesday game. Georgia played very hard, despite having no future NBA players on their roster. Guys like Kenny Gaines and Charles Mann give them an experienced backcourt. Unfortunately, they just don’t play consistently enough as a team to really be much of a contender in the SEC. They were red hot in the first half and almost managed to ride the hot start to a victory. The Dawgs came back to Earth in the second half though, and left way too many points at the free throw line and threw possessions away with untimely turnovers. 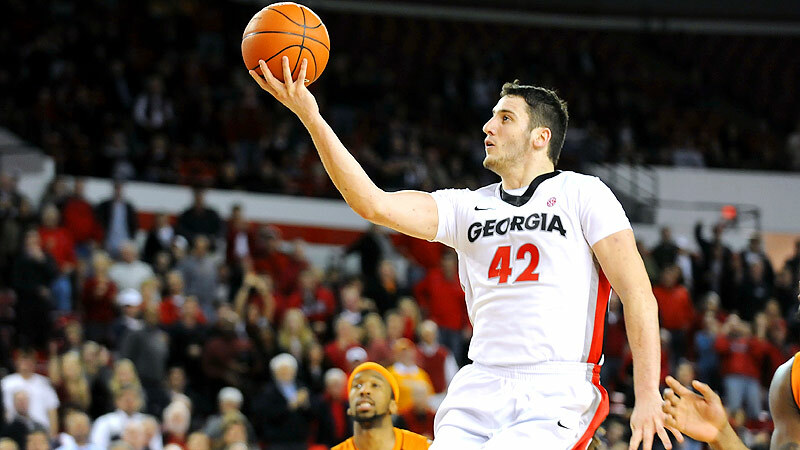 Georgia does have a college Bill Wennington Handsome Devil All-Star candidate though in Nemanja Djurisic. He did most of his damage in the first half tonight, but he is a handsome Montenegrin devil who crashes the boards and shoots threes. It doesn’t get much more European than that. Arkansas, on the other hand, did not impress me. They won the game, and it is clear to me that they are a legitimate tournament team. However, there are some gaping flaws in the Razorbacks’ game that leave them extremely susceptible to an early tournament upset. Bobby Portis is a very good player, but he was nowhere to be found on the glass early in this game (although he probably kept them in the game with his scoring). Georgia did do most of their first half damage with him on the bench. His skillset reminds me of a young Kevin Garnett. He has a solid mid-range game, finishes around the basket, and uses athleticism and vertically leaping rather than body mass to corral rebounds. He’s also the ideal big man to fit into their defensive system of heavy full court pressing and overall chaos creation. They thrive off turnovers and getting into transition. 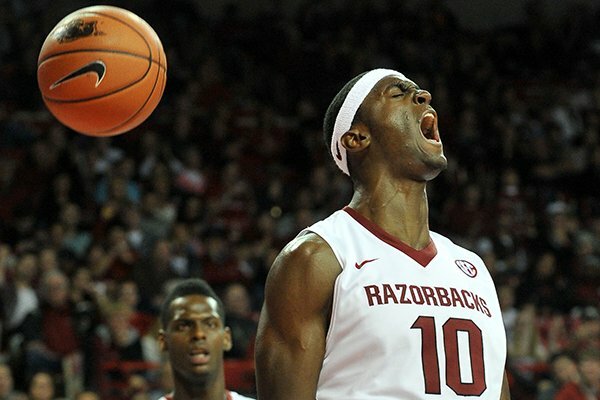 Unfortunately, when the press can’t be set up, Arkansas struggles to get back defensively. They are also soft defensively in the half-court. If a team can successfully slow the pace of the game down, and not turn the ball over they give themselves a prime opportunity to beat this team handily. I’m actually watching the end of this game as I type this and I just want to leave a quick note about it. I love the Big East, so this isn’t completely objective. 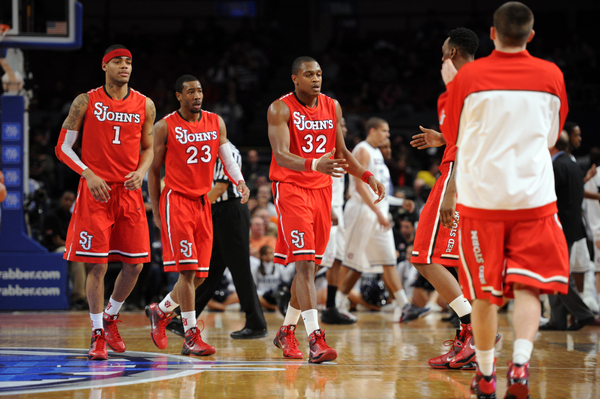 That being said, I highly suggest you watch St. John’s the next time they are on T.V. The Red Storm is going to lose badly tonight, but they are incredibly fun to watch. They are super athletic, play a throwback late ‘80s/early ‘90s style of ball and play their home games in Madison Square Garden. Watch them if for no other reason than they will play the only meaningful basketball in the Garden this year.